After overcoming the many challenges associated with poverty, but with the help of his supportive and determined mother, today Dr. Ben Carson is an emeritus professor of neurosurgery, oncology, plastic surgery and pediatrics at the Johns Hopkins School of Medicine, where he directed pediatric neurosurgery at the Johns Hopkins Children’s Center for 39 years. Some of Dr. Carson’s career highlights include the first and only successful separation of craniopagus (Siamese) twins joined at the back of the head in 1987, the first completely successful separation of type-2 vertical craniopagus twins in 1997 in South Africa and the first successful placement of an intrauterine shunt for a hydrocephalic twin. Although he has been involved in many newsworthy operations, he feels that every case is noteworthy — deserving of maximum attention. He’s written five books, the latest of which, America The Beautiful: Rediscovering What Made This Nation Great, was named to The New York Times Bestsellers List. He also holds more than 60 honorary doctorate degrees and has received literally hundreds of awards and citations. 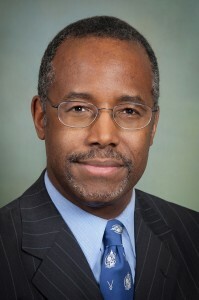 In addition to serving on numerous national corporate boards and committees, being named by CNN and TIME Magazine as one of the nation’s foremost physicians and scientists and serving as president and co-founder of the Carson Scholars Fund, Dr. Caron was the subject of the award-winning movie Gifted Hands: The Ben Carson Story, which starred Cuba Gooding Jr. as Dr. Carson and premiered on TNT in 2009.